Thanks to advances in image-guided techniques, pediatric interventional radiology is improving patient safety, slashing medical costs, and shortening recuperation time for kids. 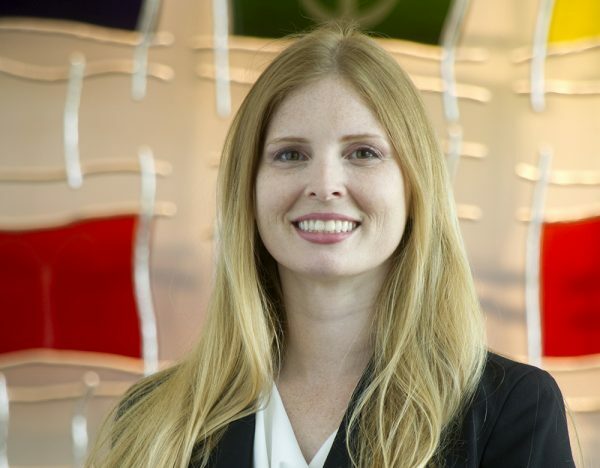 “Instead of going for an open surgery, with interventional radiology, your child may undergo a much less invasive procedure and leave the hospital with a Band-Aid instead of a surgical scar,” said Dr. Janice McDaniel, director of pediatric interventional radiology at Akron Children’s Hospital, during an interview with WHBC radio. During the interview, she described her specialty and the advantages of pediatric interventional radiology. Here are some excerpts. WHBC: What is an interventional radiologist? While a conventional radiologist interprets medical imaging – such as CT scans, MRIs and X-rays – an interventional radiologist performs minimally invasive procedures while using these images for guidance. WHBC: How did you decide on this specialty? This goes back to why I started in medicine. My first child, Bryce, was born very premature at 29 weeks – about 2 ½ months early. We spent 6 weeks in the neonatal intensive care unit and I was very impressed with what they could do for those babies. I wanted to be a part of that. When I got to medical school, I was exposed to different areas of medicine like radiology. I’m a visual person so I realized I have a knack for interpreting images. I also liked to do procedures and I missed that family interaction you generally lack as a diagnostic radiologist. Instead of giving patients the results, they’re reading the images and passing their interpretation on to the surgeon or primary doctor. He, in turn, laid out the road map for me. WHBC: Radiologists, in general, seem to be detectives at heart who love solving the case. Is that true with you? Yes, before I decided to go into medicine, I was going into forensic science. I really liked collecting clues and cracking the case; diagnostic radiology is that to me. When a patient comes into the ER with abdominal pain, it could be one of 100 things such as appendicitis, gallbladder or a GI bug. So you get the image and figure out why the patient is having abdominal pain. It’s that piece of the puzzle that helps solve your case and make a diagnosis. 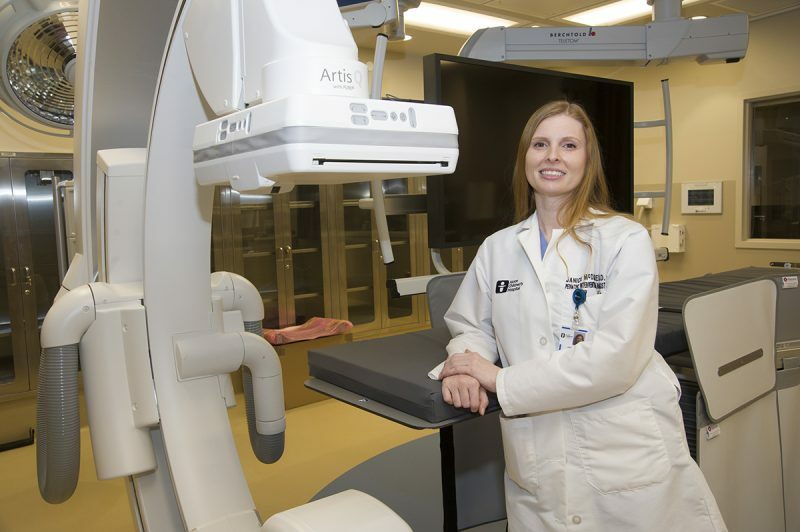 WHBC: Tell us about Akron Children’s pediatric interventional radiology program. Why do you need it? Having pediatric interventional radiology allows us to offer patients the benefit of less invasive options versus open surgery. This leads to better patient safety, better patient satisfaction and improved comfort. For instance, normally you would have to do an open surgery to biopsy a small lymph node. Now, with image-guided software, we can navigate through the skin, avoid major organs and just do a needle biopsy. Prior to the opening of our unit in March, I shared space with the cardiac intervention suite because they use similar equipment. Our new unit increases our ability to provide services to more patients in the area. 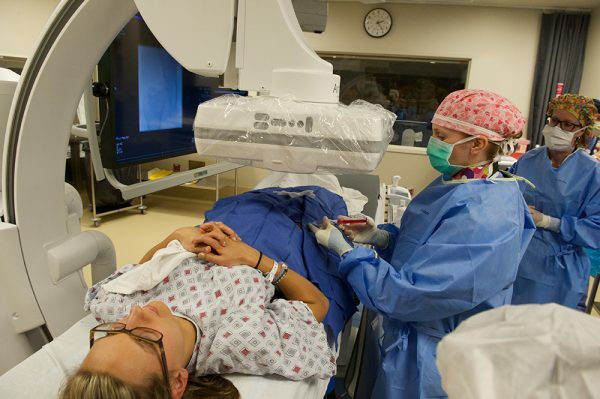 In addition to me, our team includes interventional radiology nurses, techs and a nurse practitioner. (L-R) Radiology techs Stephanie Simmons, and Amy Kirby; Dr.
WHBC: What does a typical day look like for you? First thing in the morning we do our morning huddle where we pull up imaging and the team forms a plan for our procedures. This ensures everyone’s on the same page. Then, I may have a procedure right away, which I start by explaining the procedure, risks and benefits to the family and obtaining consent to proceed. When I don’t use anesthesia, I let the parents come in the room for the procedure. If it’s a teenager, I leave the decision to him or her. Between cases, I round on patients on the floor who are recuperating from procedures. I also get consults throughout the day on urgent and non-urgent cases from various physicians. It’s kind of a fluid day so we have to be flexible. I might have 2 procedures lined up, which eventually turn into 5 or 6. WHBC: Do ER consults feed into your day? Yes, I see patients from our ER, but most of my procedures are done on inpatients. 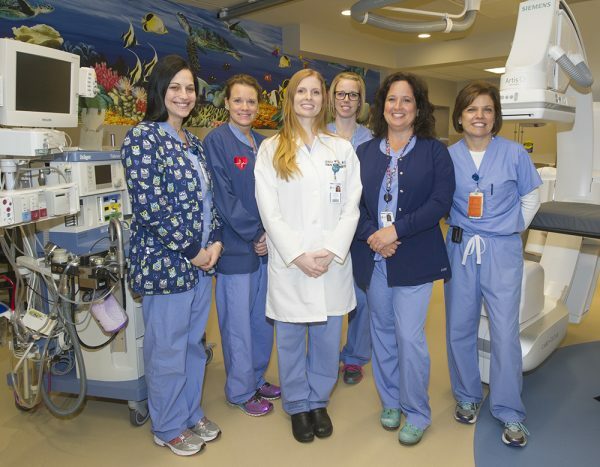 Children’s recently opened the Kay Jewelers Pavilion and it houses a new emergency department. It also houses a new NICU, where all the rooms are private so moms and dads can stay with their newborn babies. I told you I had a premature baby in the NICU 18 years ago and I would have really appreciated being able to stay with him. WHBC: Tell us about a rewarding experience. One time I had a patient who had a large blood clot in her lungs. Because this blood clot was so big, it was blocking the artery that goes to the lungs. She had very low blood pressure and wasn’t getting enough oxygen. I reached the clot with a catheter and I was able to put some clot-busting medicine right in the malformation. She came in the intensive care unit in critical condition and walk out a week later. Now, that’s pretty rewarding. WHBC: What are the most important tools in your imaging department? The angiography unit allows us to do live X-ray in order to guide needles, catheters and wires while I’m doing a procedure. If the X-ray doesn’t give enough of the anatomy, I can get a CT scan, which gives me more of a 3-D picture. I also use ultrasound imaging, which is my preferred imaging tool. I can use this to guide my needle and avoid surrounding structures while eliminating exposure to radiation. WHBC: So all this means you provide a therapeutic service. You fix things. Yes, interventional radiology has been around for about 40 years, but mostly with adults. The pediatric specialty is evolving. We have the Society of International Pediatric Interventional Radiology in which there are only 200 in the world. So a lot of people don’t know that with extra training, radiologists can do interventions. WHBC: Give us some examples of what you do that helps children. Joint injections are among the most common, representing about 27 percent of my procedures. I use live X-ray to guide the needle and dye to inject into the joint to assure I’m in the right space. Then, I can administer medication such as steroids or cortisone. I also do a lot of biopsies for suspicious masses, which, without interventional radiology, would be done by open surgery. Another one of our common procedures is feeding tube placement. We have a population of patients who can’t tolerate food being put into their stomachs so I use image-guided X-ray to get a longer tube into the small intestine. In addition, we drain abscesses or puss collections inside the abdomen, which sometimes occur following a ruptured appendix. Surgery with these patients can be challenging, but this procedure makes it safer down the line. WHBC: As parents, what should we ask when presented with treatment options? Number one is to make sure you are presented with all the treatment options. So if they’re saying they’re going to take your child to surgery, ask if there’s any other option. You may also want to ask about the success rate for the procedure. Do you expect a good outcome? It’s also a good idea to ask the surgeon or interventional radiologist how many of these procedures they’ve done. Also, ask about procedure-related complications. For the procedures I do, the complication rate is lower than doing surgery. However, there are some things you can’t treat with interventional radiology and surgery may be the only option. WHBC: How many other pediatric interventional radiology programs are there in Ohio? There are 2 other well-established pediatric interventional radiology programs in Ohio – at Cincinnati Children’s and Nationwide Children’s. So I cover northeast Ohio and even farther south. I also get patients from western Pennsylvania and Toledo. We’re lucky because some states don’t have any.